Facebook Lite: Is It a Worthy Facebook Replacement? 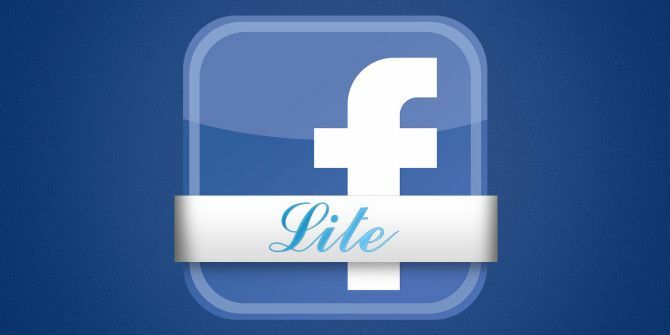 Facebook has announced a new Android app called Facebook Lite, which is a version of Facebook built from scratch to work smoothly with poor data connections and low-end phones. It’s an app for the entire world, namely developing countries where data connectivity is hard to come by. 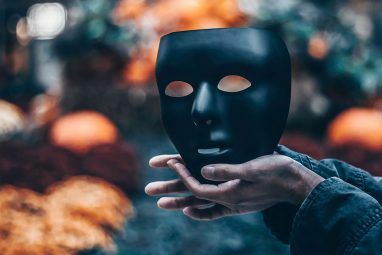 But as we all know, Facebook knows a lot of information Facebook Privacy: 25 Things The Social Network Knows About You Facebook Privacy: 25 Things The Social Network Knows About You Facebook knows a surprising amount about us – information we willingly volunteer. From that information you can be slotted into a demographic, your "likes" recorded and relationships monitored. Here are 25 things Facebook knows about... Read More about you, and their Android app is one of the ways they collect your data. Is the Facebook Lite app any better? What about the general user experience? Would it ever be worth it for someone with a stable and fast Internet connection to download Facebook Lite? Let’s take an in-depth look at this app and answer all of those questions. As a download, Facebook Lite is under 1MB, and once installed, it takes up 2.82MB of space on my device. Compare that to the amount of space regular Facebook takes up, which is 195MB. This is not an insubstantial difference. Additionally, Facebook Lite doesn’t preload photos in the way that Facebook does. Instead, it downloads low-res versions of photos that you can scroll through in your timeline, and if you actually tap on one, then it will download the higher resolution version. Likewise, when uploading photos, the images are compressed and sent in the background so that the user doesn’t have to stare at an uploading screen for minutes at a time. Facebook Lite isn’t just a wrapper for the mobile website — it’s a completely redesigned app. The status posting feature has been moved up into the top of the app (rather than a floating button in the bottom right), which means that the search bar has been shrunk down into a button. In all honesty, the layout isn’t worse; it’s just different. You still have the same basic tabs — News Feed, Friends Requests, Messages, Notifications, Search, and Options — you just can’t swipe between them; you have to tap them. There is generally bigger text and buttons, which is intended for devices with low resolution screens. It still has a semi-modern look with white cards over a grey background — there’s just no real shading effect behind them. In the notification panel below, you can see that the Lite version doesn’t feature the profile photos of anyone, instead opting for small, low-res images to denote whether someone liked or commented on something. The only thing a bit off is that there’s no border between the notifications and the sides of the screen, making it feel squished. Scrolling through the Lite app is noticeably jerkier than scrolling through regular Facebook. It’s clear that they made some cuts to allow it to function properly on devices with low RAM and low CPU power. Other “features” have been removed, like Facebook’s in-app browser How To Turn Off Facebook's In-App Browser & More Facebook Productivity Tips How To Turn Off Facebook's In-App Browser & More Facebook Productivity Tips Facebook's in-app browser is detrimental to your productivity. 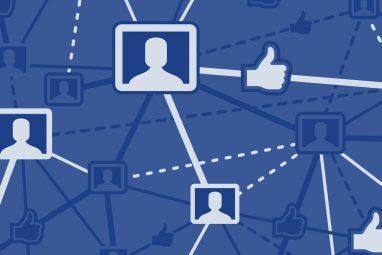 I'll show you how to make Facebook open links in your external browser and how to improve your News Feed reading habits. Read More that many people disable anyway. All in all, the app is certainly usable, if a bit less smooth than the regular Facebook app. Facebook definitely loves your information, and you want to be sure that they’re not just handing it out to everyone. Well for starters, they have an online tool so you can verify your privacy settings Protect Yourself With Facebook's Privacy Check-up Tool Protect Yourself With Facebook's Privacy Check-up Tool Facebook has a privacy problem. It's no secret. You hear stories about that every other day. So to help users understand their settings better, Facebook has released a new tool called Privacy Check-up. Read More , but once you’ve done that, it’s not a bad idea to see what permissions that mobile app has on your device. Some people consider the regular Facebook application’s permissions to be a bit invasive How To Use Facebook On Android Without All The Invasive Permissions How To Use Facebook On Android Without All The Invasive Permissions Facebook's Android app requires a ton of permissions, and it shouldn't be trusted with them. The Tinfoil app for Facebook is the privacy-conscious solution. Read More . You can see all of those below. The major differences? Regular Facebook has permissions to set/change the wallpaper, change audio settings, read/toggle sync settings, and expand/collapse the status bar. So nothing too dramatic. Basically, if regular Facebook’s permissions are too invasive for you, Facebook Lite’s probably are as well. Your best bet to avoid permissions is simply to access Facebook’s mobile website via your favorite browser What's the Fastest Android Browser? 7 Top Apps Ranked What's the Fastest Android Browser? 7 Top Apps Ranked With so many Android browsers available, which are the fastest? Here are the best browser apps on Android. 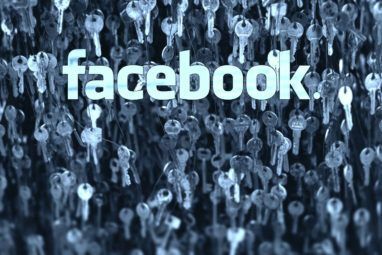 Read More , and for even more safety, access Facebook via Tor How You Can Officially Browse Facebook Over Tor How You Can Officially Browse Facebook Over Tor Remarkably, Facebook has launched a a .onion address for Tor users to access the popular social network. We show you how to access it in the Tor-Browser. Read More . However, if you also use Facebook’s messaging feature, there is another app you have to take into consideration: Facebook Messenger. Below are some (but not all) of Facebook Messenger’s permissions. Most notable here is that Messenger has the permission to send SMS messages, and if that worries you, then rest assured that Facebook Lite does have the messaging feature built-in, it’s just a bit toned down. Let’s take a look at that. Since Facebook Lite includes the messaging feature, some people might be inclined to download it instead of the Facebook + Messenger combo. A while back, Facebook decided to force all of its app users Facebook Pushes Messenger, OkCupid Experiments on Users, And More... [Tech News Digest] Facebook Pushes Messenger, OkCupid Experiments on Users, And More... [Tech News Digest] Also, Amazon launches a portal for 3D-printed products, Samsung delays release of its first Tizen smartphone, Reddit eyes profitability, Yelp adds user-generated video reviews, and Microsoft trolls Apple with Cortana bullying Siri. Read More to download Messenger if they wanted to continue using the messaging service. But if you’re going to make the switch, how does Lite compare to messenger? See for yourself. Lite is below on the left, and Messenger is below on the right. Lite is obviously not as attractive as Messenger. Message bubbles are blockier and don’t include timestamps or read receipts. But the core messaging feature is still there. If you found Messenger to be too bloated, Lite might just be the messaging app you were looking for anyway. And if you’re a fan of Facebook’s stickers Facebook Chat Stickers: What Are They & Should You Use Them? [Weekly Facebook Tips] Facebook Chat Stickers: What Are They & Should You Use Them? [Weekly Facebook Tips] When you chat via instant messenger clients, do you add smileys? Do you also like to add other emoticons to let people know when you're hungry, bored, stressed and the rest? If so, you'll probably... Read More (how could you not be? They’re adorable), then you’ll be happy to know that even the Lite version supports them. However, their organization is beyond poor. You’ll have access to a limited number of emoji and a very random listing of stickers. It’s functional, but it’s not great. How Do I Download Facebook Lite? If you’re not in one of the countries where Lite is officially available through the Play Store, you can still download it through a website called APK Mirror and sideload it How to Download an APK from Google Play to Bypass Restrictions How to Download an APK from Google Play to Bypass Restrictions Need to get your hands on the installable APK file for an app from Google Play? We got you covered. Read More onto your device. The current version at the time of this writing is 1.10.0.55.128, but be sure to download the most recent version available and check back regularly for updates. Facebook isn’t everyone’s cup of tea, but if you’re an avid user, one of these apps is sure to appeal to your needs. If not, we do have some alternative Facebook apps Faster, Leaner, Better - Alternatives To The Android Facebook App Faster, Leaner, Better - Alternatives To The Android Facebook App Oh, the joys of having social media available to us at any time of day thanks to the advent of the smartphone. Facebook has always been (at least on the surface) about connecting with your... Read More and alternative Messenger apps Don't Want To Use Facebook Messenger? 6 Slick Alternatives To Try Don't Want To Use Facebook Messenger? 6 Slick Alternatives To Try Use these Facebook Messenger alternatives to keep in touch with your Facebook contacts while on the go, if you do not want to use Messenger for whatever reason. Read More for you to try. And if Facebook’s ever causing you any trouble, be sure to check out these tips on how to reclaim your Facebook sanity Frustrated with Facebook? 5 Tips to Reclaim Your Sanity Frustrated with Facebook? 5 Tips to Reclaim Your Sanity The real-world social implications of Facebook make it difficult to deal with frustrating online situations. Here are five tips to help you keep your Facebook feed drama-free. Read More . But we’d like to hear from you. What do you think of Facebook Lite? Is it useful in any way? Let us know in the comments! things, like wooden qi charger. These are items for connoisseurs. Does this mean people you want to sent messages to if you download messengerlite will be able to receive and reply if they have the other versions? Yes. I use Messenger Lite on a Galaxy S7. Facebook Lite transfers you to Messenger Lite when you click on messages. The threads are all the same as you would see on a desktop browser or on a Messenger app on iOS. Facebook Lite awesome. I already installed it on my smartphone. It takes very low space and runs smoothly. You did a great job to sharing this informative article. Any way to use an external browser in Facebook Lite? It's possible in the full app, but I can't find any place to set this up in Facebook Lite. Excellent article for smartphone users like me . I first time , came to know about these technicalities of facebook and it's another version " facebook light". I am going to replace my facebook version. I am a authorized user for the FB business account my boss has. Will downloading FB Lite be a problem when I need to go do something on her FB page? Also, will I still be able to use FB on my desktop or will it be FB lite as well? I just want to know when we check someone's account, and the app shows 'active 6 m ago' etc. Etc. Does it means the user was really active 6 m ago.. Or he was offline long before? It's getting struck while scrolling. Otherwise it's worth than Facebook app. I tried lite because my phone has limited storage. I like lite, although the UI is a little confusing at first. One problem I have though, a lot of times if I'm typing up a post or comment, it erases either the whole or part of the message when I tap "done". For now, I'm going back to the full version. I have facebook lite installed, but how do I put an shortcut icon on my phone's screen? Why I cant edit my caption using facebook lite? Kind of just a moderate Facebook user, but I was increasingly needing to use the Message feature to stay in touch with certain friends. Had been quite content using the mobile website via Chrome for Android, but near the beginning of June, apparently just as previously with the iOS and Android FB apps, the ability to message through the mobile website was halted. I then looked for an alternative, as I wasn't going to load and use the huge Messenger app. The first alternative I found and am still trying out was available on the Play Store, called "Lite Messenger for Facebook." Installed it takes up just under 12 MB. It looks very similar to the mobile site, and actually has more than just messaging capabilities. I had read there was something called "Facebook Lite" but didn't know where to find it, as I didn't run across it on the Play Store. Then I caught this article, and am already familiar with apkmirror.com, so I went there, found the latest version of FB Lite, and am impressed with its installed size on my device as 7.6 MB. Will be comparing the two and eventually deciding on a favorite. Thanks for the article and comments! I am using Facebook Lite since its announcement and I must say that it has improved well. Read receipts are also available in the Lite version. And if you want to share something, for example you are in your album/gallery and want to share a photo, you have to tap "share" and choose Lite from the list. Lite works great. the regular fb & messenger are useless to me now. I do have lots of storage space available on my Sony Xperia C5 Ultra Dual but I don't really like using a large app when its smaller counterpart works like a charm. Did fb lite had an option of deleting messages in its old version in mobile phones having low storage space?? Did it had an option of deleting messages in its old version in mobile phones having low storage space? You can upload videos to Lite by finding them in your gallery app and choosing Share - Lite comes up as one of the options. If you use UC Browser you can get FB push notifications as if it were through the app. UC seems to be built for FB. I use Facebook on my Android tablet to keep in touch with family, friends and interest groups. But I avoid the apps altogether. I just place a bookmark icon on my Android desktop. Similarly, on my Windows desktop, I place a Chrome shortcut. As far as I know, the browser-based Facebook isn't missing any of the functions of the Android apps. It is missing video upload feature. Only allows photos thru browser. Only reason I have the app. You can upload videos to Lite by finding them in your gallery app and choosing Share – Lite comes up as one of the options. On my android, i don,t have that option to share ti lite. Why? And i nave fb lite installed.